In the event that you have experienced a natural disaster after business hours, you can rely on us to arrive at any time. With a 24/7 availability, RestorationMaster will return your property to its original condition as soon as possible. In addition, our technicians’ training and experience will ensure that the job will be done right the first time, guaranteeing your satisfaction every time. Call us at (503)376-6666 for any of the services listed above in the Tigard, OR area. When life gives you an unexpected flood on your property, it can be difficult to decide on taking the proper steps as the sight alone is overwhelming. However, the moments upon discovering the damage are the most crucial because the water will continue to spread throughout the rest of the property. If left alone for too long, bacteria can turn into mold, causing additional damage to your building structure and content. However, RestorationMaster is available 24/7 in the Tigard, OR area to provide effective water damage restoration and flood cleanup services. Our technicians are each IICRC-certified and trained to limit as much damage as possible. They will also use advanced products and equipment to immediately remove the source of the water, extract the water, and start the drying process. We will also work with insurance to allow you to focus on other matters during the claims process. 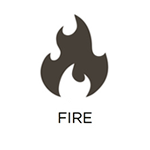 The effects of fire damage within a home or building can be extremely devastating and overwhelming. Upon discovering that your building materials and personal belongings are covered in smoke and soot, it can even be too much to handle. However, it is crucial to call for professional restoration services right away in order to save as many materials as possible. RestorationMaster is available in the Tigard, OR area to provide emergency fire damage restoration services for small and large commercial and residential buildings. We will arrive within 2 hours of your first call to immediately inspect the damage, sort your belongings, and start the cleanup process. We will ensure to remove all smoke and soot residue, not only from the surfaces, but within the materials. We will also work with your insurance adjustor to allow the claims process to run smoother for you. Mold is an extremely annoying infestation. Not only is it unsightly, but it can smell horrible and even contribute to allergy symptoms and breathing problems. This is not to mention the damage it is causing to your building materials. However, this fungus should never be removed using home remedies. This is because home products will not remove the source, rather, the mold will only become irritated and spread further. But RestorationMaster has professionals that are experts at removing mold in the Tigard, OR area. With years of training and experience, our technicians will remove the source of the mold as well as identify additional areas that are at future risk. 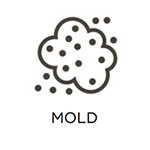 With our services, you can be sure that all areas containing mold will be treated properly, even restored to their original conditions after the mold has been removed. Call us today for a free estimate! The idea of taking away the belongings of an individual affected by hoarding is an extremely sensitive topic for them. While they are battling a disorder that makes it hard for them to part with their possessions, a hoarding cleanup job must be approached with compassion and patience. However, the specialists at RestorationMaster have years of experience when it comes to helping affected individuals with hoarding cleaning in the Tigard, OR area. We will first work to establish a relationship with the individual before starting any cleaning process. We will then put them in charge, not disposing of any belongings without their approval. Finally, after the unnecessary belongings have been removed, the property will be cleaned, deodorized, and disinfected of all remaining bacteria and odors caused by the belongings. The individual will then finally have a safe, clean environment to live in after the job is complete. The condition of a carpet can have a significant impact on the look and feel of the entire room. A carpet that is cleaned on a regular basis will contribute to an organized, maintained room while a dirty one will give a first-time visitor a negative impression. While regular vacuuming can extract the majority of the debris, it will not be able to reach the dirt contained deep within the fibers. Only a professional carpet cleaning will be able to fully extract all debris from the carpets. RestorationMaster is available in the Tigard, OR area to provide quality cleaning services that will leave your carpet looking just as it did when it was first purchased. Using a powerful but safe hot water extraction method, we will not only clean the carpet but actually extend its lifespan. Call us today for a free estimate if your carpet has started to look deteriorated or worn-down. In the event that your home or building is left covered in construction debris, the sight can be extremely disappointing. Especially if you have been waiting to move back in after a period of time, it can be frustrating to find that it is not returned to its original condition. With sawdust covering the building materials, nails and screws littering the floor, or even mud tracked in from the workers, this must be cleaned up right away. That is why RestorationMaster is available in the Tigard, OR area to provide efficient post construction cleanup services for commercial and residential properties. In addition to removing all construction debris, we will completely restore the clean and healthy look of your home or building by cleaning the building materials, vacuuming, and dusting. With our services, you can expect to finally return to your property with some peace of mind knowing that the disaster and aftermath have been handled properly. While water damage is already stressful to deal with, a sewage backup is an even bigger headache. Due to the amount of bacteria and pathogens within the water, it is extremely dangerous to handle. It will also cause a severe amount of damage within your building materials and personal belongings. 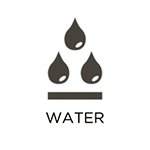 It is essential to have a professional properly extract the water and restore all building materials. RestorationMaster is available in the Tigard, OR area to provide sewage contamination cleanup for both residential and commercial properties. With professional equipment and products, our technicians will properly extract all sewage water while disinfecting and deodorizing the affected area. We will also replace any porous materials that have been soiled from the water. While there are many building materials that can become severely damaged in a natural disaster, there are numerous prized possessions that can also be come severely damaged. Unfortunately, not all of these items can be replaced as there can be precious heirlooms or items that have a high monetary value. On the other hand, it is possible to have them cleaned and restored with proper cleaning. When you call RestorationMaster in the Tigard, OR area, our technicians will inspect each item and apply the proper cleaning products to have them effectively returned to their original conditions. We can also provide pack out services, if your property has been too severely damaged, and have your content restored at our facility. We will then work with your insurance adjustor, even providing them with a copy of the inventory of items transported to our facility. While fires can cause a significant amount of damage to a home or building, it is actually the soot and smoke left behind that can compromise the structural makeup of the material. When smoke is produced from the flames, it envelopes the property in a thick, oily residue that causes etching and tarnishing to all building materials and content. This ultimately makes treatment crucial in the cleanup process as the affected surfaces can become permanently damaged if any hesitation is made. That is why RestorationMaster is available 24/7 to provide soot and smoke damage restoration services to the residential and commercial properties in the Tigard, OR area. Our technicians will arrive right away to immediately cleaning the soot from the affected building materials in addition to restoring any that have been damaged by the water from the firehose. We will also work with insurance to provide extra peace of mind during the claims process. While it is nice to return to your home after restoration or reconstruction services, it can be frustrating to discover an odor just after moving back in. Finding strange smells within your home can also be the first sign of mold damage, depending on the severity of the odor. Although there are products, such as Febreze and Lysol, that can remove certain smells, others will require stronger chemicals. RestorationMaster is available in the Tigard, OR area to provide effective deodorization services for homes and buildings. In addition to removing all types of odors, we will also be able to identify any structural damage and have it repaired with other services we offer. However, we will ensure that the odor is completely eliminated from your property, allowing you to enjoy the living space within your property again. While some properties will only require restoration after a natural disaster, others are left in unstable conditions as they have taken on severe damage. When this happens, it can be deeply traumatic to find your home or business left in ruins. However, RestorationMaster is available to provide 24/7 reconstruction services in the Tigard, OR. We will arrive right away, first boarding up the property to have it stabilized. Our team of construction staff will then inspect the property and develop a custom plan to have it reconstructed as efficiently and effectively as possible. We will also take care of everything from general contracting to the restoration work so you don’t have to worry about hiring separate services. From start to finish, our technicians will work with you and provide updates of the property’s progress until you can finally return to a safe and clean environment again. There is no doubt that natural disasters can leave a property in a critical condition after passing through. Disasters such as floods, fires, tornadoes, and more can cause such significant damage that your property may be at risk to additional damage or even collapse if treatment is not made right away. But while restoration or reconstruction services are coordinated, it may be too late until they can occur to return the home or building to its original condition. In this case, you can contact RestorationMaster for emergency board up and tarping services in the Tigard, OR area. Our technicians are available 24/7 to provide the stabilization and security your property needs until full repair services occur. Don’t hesitate to contact us right away after finding your property in an unstable condition. Property damage is a painful experience for home and business owners alike. However, the increased scope of restoration projects often required by businesses is why we offer specialized commercial restoration services here at RestorationMaster. Regardless of the type of event that has damaged your property and equipment, our project managers and technicians will be able to return your business to ideal operating procedures swiftly and cost effectively. We have the ability to be your single point of contact, and will provide a safe and sanitary result. We offer this service to companies in and around Tigard, OR. For any of the disaster restoration and cleaning services listed above, RestorationMaster is available 24/7 at (503)376-6666 in the Tigard, OR area to service both residential and commercial properties.